SUMMERSET VILLAGE IS A WELCOMING, HEALTH AND PLEASURE RESORT THAT GUESTS RETURN TO YEAR AFTER YEAR. NESTLED AMONG SEVEN ACRES OF BEAUTIFULLY LANDSCAPED GROUNDS ONLY 300 YARDS FROM THE SHIMMERING, TURQUOISE WATERS OF THE CARIBBEAN, SUMMERSET FEATURES GUEST ACCOMMODATIONS SCATTERED THROUGHOUT ACRES OF GARDENS, SETTLED IN THE MIDST OF TROPICAL FRUIT TREES. 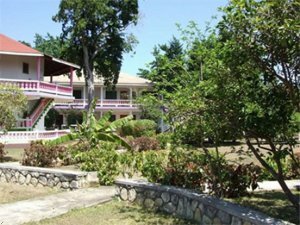 SUMMERSET VILLAGE IS LOCATED 2.5 MILES FROM NEGRIL BEACH AND LIGHT YEARS AWAY FROM THE WORLD YOU LEFT BEHIND. COME AND EXPERIENCE THE OLD TIME NEGRIL ATTRACTION THAT MADE THE WEST END INFAMOUS.